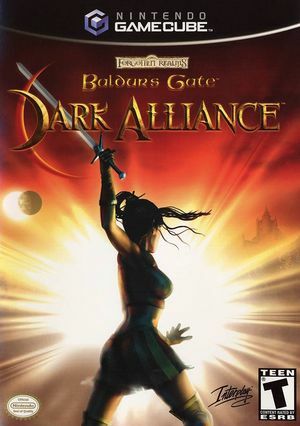 Baldur's Gate: Dark Alliance features a distinctive blend of action and adventure set in the most popular Dungeons & Dragons campaign setting: The Forgotten Realms franchise owned by Wizards of the Coast Inc. Played from a third person perspective, Baldur's Gate: Dark Alliance immerses players in the port town of Baldur's Gate. Faithful adaptation of the third edition rules set for the Dungeons & Dragons role-playing game and customizable player and character development allow for an engrossing gameplay experience for up to two players at once. Dramatic spell effects and powerful abilities enhance this action-packed game, assisting the player in combat against an abundance of terrifying monsters found throughout the adventure. The graph below charts the compatibility with Baldur's Gate: Dark Alliance since Dolphin's 2.0 release, listing revisions only where a compatibility change occurred. This page was last edited on 23 May 2018, at 19:21.